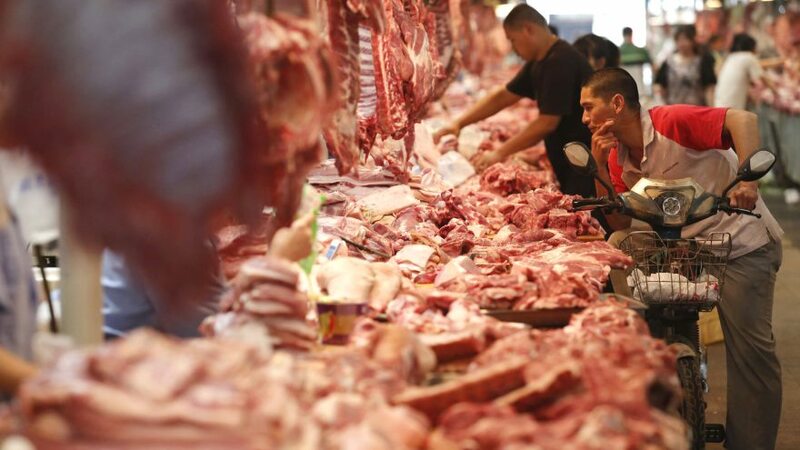 CHINESE authorities have again clamped down on smugglers involved in the ‘grey-trade’ importation of foodstuffs, including beef, aimed at avoiding import tariffs and accessing beef from countries of origin other than those approved by the Chinese Government. Smuggling cases representing a total of 122,000 tonnes of beef had been investigated by Chinese authorities so far this year, the Shanghai Public Security Bureau said last week. Beef Central reported on a major crackdown on the grey trade in beef earlier this year (click here to view). In the most recent episode this month, 13 tonnes of beef was seized in a case said to be worth US$4.8 million. Arrests have been made with nine people awaiting trial on bail. In another episode a gang, led by a Japanese national, apparently smuggled 97 tonnes of beef from Japan to Cambodia, where they changed the Japanese labels on the beef for Chinese, the bureau said. The beef was then taken to China via Laos, and sold at a premium to bars, restaurants and food processors in Chinese cities including Shanghai, Guangzhou and Hangzhou. Being unregulated, smuggled beef is seen as a health risk by quarantine officials. A BSE outbreak in 2001 led to China banning beef imports from Japan. In nationwide anti-smuggling campaign, operations by China’s General Administration of Customs (GAC) group this year have confiscated frozen meat worth around a half-billion US dollars. Between January and December last year, authorities dealt with 18,556 smuggling cases (all commodities, not just beef), according to data released by the GAC. Among these, 2158 cases were filed for criminal investigation and 4289 suspects had been placed under ‘coercive measures’. Increasingly tough penalties have been applied in an attempt to deliver deterrents in the illegal trade. One group of 1191 smuggling cases involved tax evasion worth over US$2 billion, up 54 percent on the previous year, GAC said. Agricultural commodities have been a particular target, with almost 600 cases featuring alleged tax evasion worth US$1.3 billion being investigated. These included cases involving three million tonnes of grain products, 122,000 t of frozen meat and 150,000 t of cotton, according to the GAC. Meanwhile, US representatives have recently passed comment on the grey trade in US beef passing into China. US trade representative Robert Holleyman was reported as saying that “huge amounts” of American beef were bypassing China’s import bans put in place because of previous cases of BSE in the US, finding its way into the country through Hong Kong and Vietnam. The US exported more than 154,000 tonnes of beef and beef products to Hong Kong last year, 19 percent higher than the previous year. Much of that is believed to be destined for the Chinese market. While all stakeholders in the trade are well aware of the grey trade which includes not only beef from the US but also Brazil, India and other unofficial sources, the highlighting of the issue by a senior US trade official reflects the level of frustration the US administration currently has on its lack of formal access for beef to the Chinese market. The China Meat Association’s deputy secretary, general Gao Guan recently spoke to Global Meat News about the imported meat sector in China. He noted that consumer perceptions of beef and lamb had become more positive nationwide. “In the past, only northerners wanted to eat beef and lamb. Now southerners also want the product. People used to eat beef and lamb only in winter but now seek these products year-round,” he said. Prices for beef and lamb had continued to increase in the past decade, fuelled by China’s strong economic growth. As Chinese consumers’ income and standards of living continue to improve, demand for red meat had grown and this trend was expected to continue, Gen Guan said. However the large increase in consumption of meat had raised government concerns about China’s food safety standards. “Previously, many food standards were not compulsory, but that is changing,” he said. The Chinese government had empowered the CMA to draft more stringent regulations and standards around the issue of food safety. Chinese consumers tended to trust the quality of imported meat products more than domestic products, but imported meat only made up a small percentage of China’s total meat consumption. Currently, only meat imports from six countries (Australia, Canada, Costa Rica, Argentina, Uruguay and New Zealand) is eligible for export to China. There are a number of other countries seeking formal access, including major suppliers such as the US. Brazil this month sent its first ‘front-door’ shipments to China, having just reached agreement with Chinese authorities that has seen eight Brazilian export processing plants approved for beef export. Gen Guan also identified a potential growth area around offal and meat by-products, which he said tapped into Chinese consumer demand for such products.